What Changes Will Happen To My Taxes On January 1st, 2011? We’ve talked quite a bit on this site about the recent tax cut package that was passed, and some of the provisions that were included in the bill. One thing we haven't done, however, is to look at all the changes that we can expect to see in 2011 for individual taxpayers. What tax changes will happen for 2011? President Obama and the Congress passed the Tax Relief, Unemployment Insurance Reauthorization, and Job Creation Act of 2010 in the last half of December, and as a result tax rates didn't go up for some as would have happened otherwise. But the tax rates remaining unchanged wasn't the only thing to happen due to the bill. Here are some of the changes that you can expect to see due to this tax cut bill. The 2001 and 2003 Bush tax cuts meant a reduction marginal tax rates for all taxpayers. Those rate reductions will be extended for two years under the tax package. That means the 2011 federal income tax rates will remain essentially unchanged for everyone, including the high income earners. The tax rates for 2011 are shown below. The main changed from 2010 are some rate range adjustments due to inflation. A provision that has been controversial, but is liked by those who would like a tax cut is the 2% payroll tax holiday for 2011. Basically you’ll be paying 4.2% in payroll taxes for social security and medicare in 2011, versus the normal 6.2% on the first $106,800 in income. The estate tax lapsed in 2010, but would have been returning next year at a rate of 55% with an exemption of $1 million this package hadn’t happened. The tax cut bill changed that to have it be a top rate of 35% and a $5 million exemption. The original date to apply for up to 99 weeks of unemployment for the long term unemployed expired on 11/30. This will extend that date for another 13 months. Note that the 99 weeks of unemployment benefits aren’t available to everyone, but only in some high unemployment states. The $1000 child tax credit will remain at $1000 per child instead of dropping to $500 as it was slated to do. In 2010 the tax credits for energy efficient home improvements were quite popular because you could receive up to 30%, or $1500 on many home improvements in the form of a tax credit. The 2011 home improvement tax credit is significantly reduced to a lifetime maximum of $500, and only applies to 10% of the cost of the home improvement. So if you took part and got your $1500 credit in 2010, you can't get this one. Details here. Workers with Flexible Spending Accounts (FSAs) may no longer use pretax funds to pay for many over-the-counter medicines—aside from insulin—without a prescription. This should reduce many people's participation is this great tax savings. 2011 FSA Changes. The income limit for conversions has been permanently removed, so this year all taxpayers may still convert ordinary IRAs into Roth IRAs. But taxpayers who convert to Roth IRAs in 2011 no longer have the option of deferring conversion income into later years, as was true for 2010 Roth IRA conversions. Those who converted in 2010 do have until next Oct. 17 to decide whether to use this deferral. Rates for both long-term capital gains and dividends will continue to be low. For taxpayers in the 15% income tax bracket and below, the rate is zero. For those in the 25% bracket and above, the rate is 15%. As you prepare to file your taxes this year to either get a refund or pay an amount owed, remember that itemizers will have to wait to file until mid to late February. The reason? The tax cut package was passed so late in the year that now the IRS is playing catch up to implement all of the tax rates, deductions and credits. Also of note, the 2011 tax filing deadline is April 18th this year, due to the 15th being on a government holiday – on a Friday. So what do you think of the tax cut package? Is it a good thing, bad thing 0r a little of both? If you don’t like it, what would you have rather seen? A couple of weeks back I published the new 2011 Federal Income Tax brackets. Basically, because of the tax act that was passed on December 17th, 2010, the current tax rates are being extended for all taxpayers, both high and low earners. What some people might not realize, however, is that despite the tax rates remaining essentially the same (except for some rate range increases due to inflation) some people will see a 2011 federal income tax increase due to expiring tax credits, and a 2% payroll tax holiday for 2011 that might mean less savings for some. Not everyone will see their taxes remain the same despite the fact that the tax rates remain unchanged. Some folks will see their taxes go down, and others will see an increase in withholding from their paycheck. As mentioned the Making Work Pay tax credit has now expired, which means taxpayers will no longer receive the benefits from this cut. How much was it, and who got it? The 2009 stimulus bill will gave a $400 credit per worker and a $800 credit per working couple. For most working individuals, the credit was paid over time at roughly $15 per period, assuming 26 pay periods in a year. So since it is expiring, you won't have that extra $400-800 in your paychecks in 2011. The 2% payroll tax holiday for 2011 was meant in part to be a replacement for the expiring $400-800 “Making Work Pay” tax credit. For some people it will more than replace the credit, while for others who have extremely low incomes or don't pay taxes, they won't see as much as with the previous credit (or nothing at all since only those who pay tax will get it). What does the 2% payroll tax holiday mean for the average taxpayer? Around a $1000 tax savings. Since the Social Security tax is capped at $106,800, the maximum savings that could be seen by a higher income individual is around $2136. This as opposed to a $400 credit for singles and $800 credit for families under the “Making Work Pay” tax credit. So because of the expiring tax credits, and because 2% social security tax holiday is calculated at a percentage of income as opposed to a flat rate, people will be seeing different withholdings this year. Either they'll be coming out ahead from previous years, or if they make extremely low incomes or don't pay taxes, they'll be getting less than previously. Or nothing. It really just depends on their situation. Is the tax withholding situation – along with expiring credits and new tax cuts confusing? 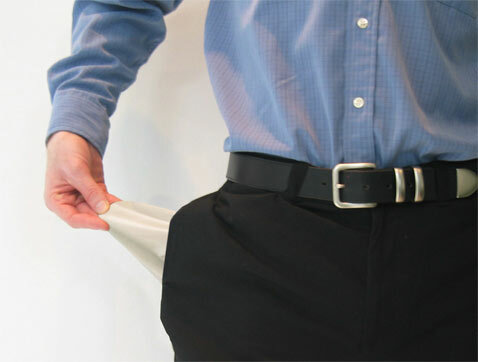 Do you think the government adequately explained that some lower income earners may see a decrease in their paychecks? Where Can I Get Paper IRS Forms And Tax Publications? With the advent of the internet and widely available free or affordable electronic filing options, the IRS has moved away from sending out paper tax packages every year as they used to. Do you remember how you used to get your tax forms in the mail every year, and the sense dread that it gave you? No longer. The IRS no longer automatically sends out paper tax packages by mail. I'm sure it means a good cost savings for the IRS and for taxpayers, but what if you're one of those folks who just prefers to file their taxes the old fashioned way? What options do you have and where can you get paper IRS forms and publications? On the Internet: You can access forms and publications on the IRS website 24 hours a day, seven days a week, at http://www.irs.gov. Taxpayer Assistance Centers: There are 401 TACs across the country where IRS offers face-to-face assistance to taxpayers, and where taxpayers can pick up many IRS forms and publications. Visit http://www.irs.gov and go to Contact My Local Office on the Individuals page to find a list of TAC locations by state. On the Contact My Local Office page, you can also select TAC Site Search and enter your zip code to find the IRS walk-in office nearest you as well as a list of the services available at specific offices. At Convenient Locations in Your Community: During the tax filing season, many libraries and post offices offer free tax forms to taxpayers. Some libraries also have copies of commonly requested publications. Many large grocery stores, copy centers and office supply stores have forms you can photocopy or print from a CD. By Mail: You can call 1-800-TAX-FORM (800-829-3676) Monday through Friday 7:00 am to 10:00 pm local time – except Alaska and Hawaii which follow Pacific time – to order current year forms, instructions and publications as well as prior year forms and instructions by mail. You will receive your order by mail, usually within 10 days. The IRS requests that taxpayers wait until after January 10, 2011, to put in a request for tax products for 2010. Earlier this week we wrote about how because Congress took so long to act on the tax bill in December (the act was passed on December 17th), the IRS had to push back the filing start date for those that itemize. There would be a tax filing delay well into the month of February for all of us itemizers out there because the IRS needs more time to update their systems. Of course all the companies who help us to file our taxes like TurboTax will be updated long before the government is, and you can start your return there at any time. But of course that's no big suprise- that private business moves at a faster pace than government. This week the IRS announced that there would be a tax filing deadline extension for everyone – and that the deadline would be pushed back from April 15th as it normally is, to April 18th. So the reason for the deadline extension isn't because of the delays in people being able to file, or because of the impact of the new tax bill, it's because there's a government holiday observed on that day – meaning it has to be pushed back. Ah, to be a government worker and get all those extra days off! Tax Filing Delay – Who Must Wait To File? As mentioned in the first paragraph above, there is going to be a delay in the start to tax filing season as well. As many as 50 million taxpayers itemize on their taxes, and would be affected by the delay. Of those 50 million usually only around 9 million usually file in January or February and would be affected by the delay. So basically the start to filing season is delayed so that the IRS can implement the extensions of several tax cuts, tax credits and other things that were to be expiring, and that have now been renewed. While the government is still updating all of their software, many or most of the tax filing software are already up to date for the new tax law. While you won’t be able to file and get a refund until the IRS starts actually accepting returns, you can file your return with companies like TurboTax (who will allow you to file your return starting January 6th), and then just let them file the return for you when the government is ready to accept it. don’t wait to start your return. TurboTax products are already up-to-date with all the latest forms and schedules. You can prepare your return with TurboTax and electronically file it beginning on Jan. 6. TurboTax is the tax software I used last year to file my taxes, after having used several others in past years, including a good one from TaxSlayer.com. While TaxSlayer and other packages aren't bad, I found the TurboTax interface to be much easier to use, and less complicated to complete. I double checked my return with TaxSlayer and CompleteTax last year, and both of them gave me about the same number for my amount due as TurboTax. So based on TurboTax's better interface, I would recommend it first. Check out all of your filing options at the TurboTax site! Do you usually not file your taxes til the last minute? Will this extension be just what you needed in order to file on time? Are you expecting to be delayed in filing your taxes because you itemize? Tell us in the comments! Yesterday we talked about one of the negative effects of the recent tax cut package that was passed, the fact that taxpayers who itemize must delay filing. If you're expecting a big refund and anticipate claiming quite a few deductions, you'll most likely need to wait to file taxes until mid to late February. Today I want to touch on another tax credit that was extended that a lot of parents will be happy about, the $1000 child tax credit. Congress and President Obama took action on the expiring Bush era tax cuts on December 17th last month. The passage of the bill lead to a lot of relieved sighs for many folks as a lot of popular tax breaks were set to expire, and the bill extended many of them, even if just temporarily. There was a smaller version of the home improvement tax credit, an extension of the current tax rates (instead of a huge tax hike), and a payroll tax holiday, meaning a cut of 2% in Social Security tax withholdings in 2011. In addition to the measures mentioned above, under H.R.4853 the Child Tax Credit (CTC) of $1000 per child will be extended for 2011-2012 as well. I've got a co-worker and friend who just had his 5th child this past year. In most instances having that many children leads to a ton of expenses, but this is one case where he comes out ahead. I think he was pretty happy that the $1000 child tax credit was passed as it will mean $5000 in tax credits for him – $2500 more than if it had expired and returned to the previous $500 per child level. We'll be claiming the child tax credit for the first time this year as well as we just had our first child. Daddy thanks you, my little one! Since this is a tax credit, it means that once you figure out how much you owe in taxes for the year, the amount of credit will reduce the amount of tax owed (as opposed to a deduction which reduces taxable income). For example, if we owed $3000, and claimed the child tax credit for our one child, we would then owe $2000. The Child Tax Credit has eligibility requirements, and is subject to income limits and phaseouts. Income limit of $110,000 for married couples. Income limit of $55,000 for married filing separately. The IRS recently put some guidance on their website about who is able to claim the Child Tax Credit. If you've already claimed the credit you probably already know these things, but I thought I’d share them here as a reminder. Are you claiming the child tax credit this year? How much will you save because the credit is extended at the current $1000 level?